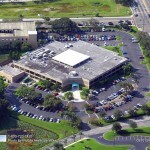 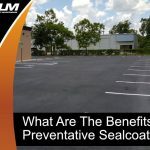 Sealcoating Asphalt to Protect Your Paving - ACPLM, Tampa Paving Co.
Sealcoating Asphalt to block the sun’s ultraviolet rays will help protect the essential strength and flexibility properties of asphalt. 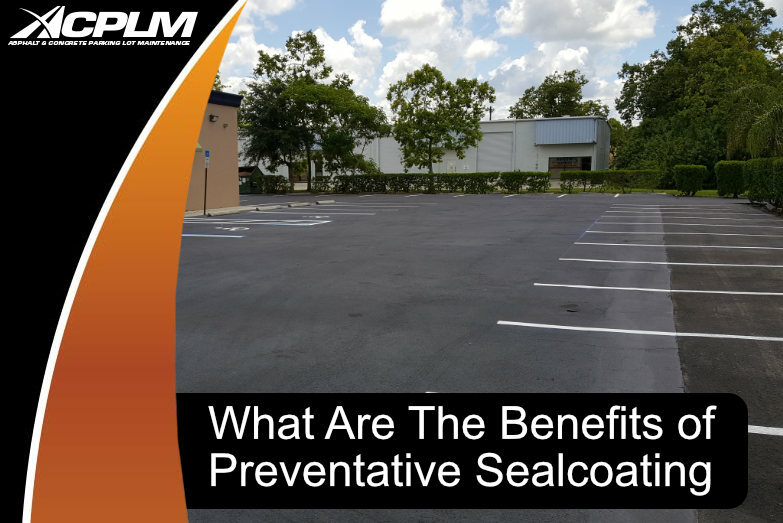 Without sealcoating asphalt, the sun’s rays will allow it to become it brittle and full of hairline cracks that will make the surface vulnerable to water invasion. 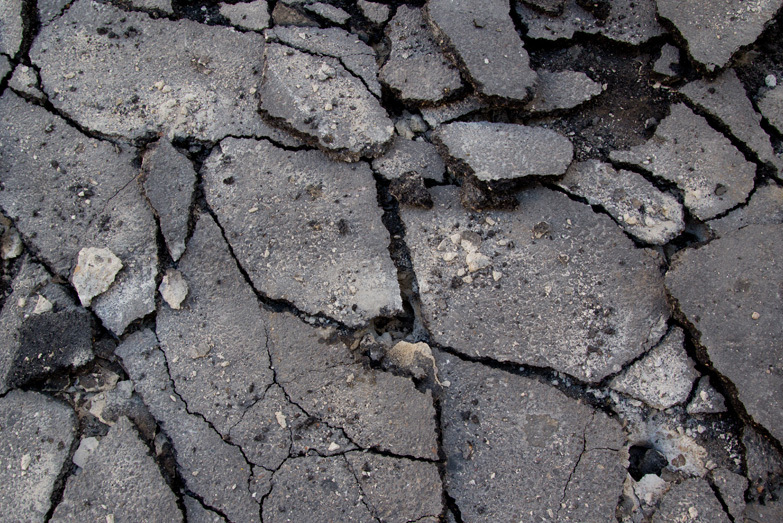 Aggregate ravels from the surface and the pavement becomes rough. 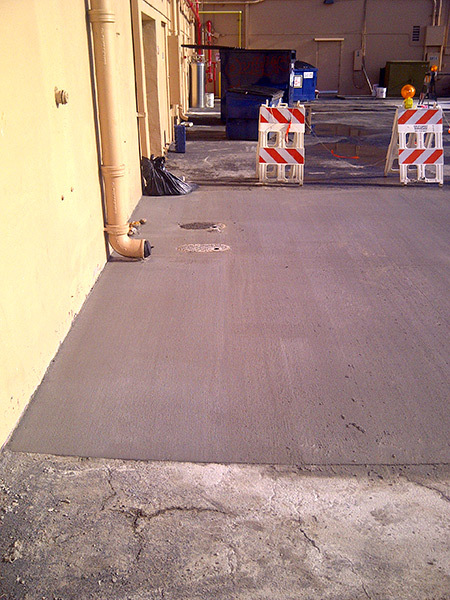 Water penetration enlarges cracks and freeze/thaw cycles add to the breakdown. 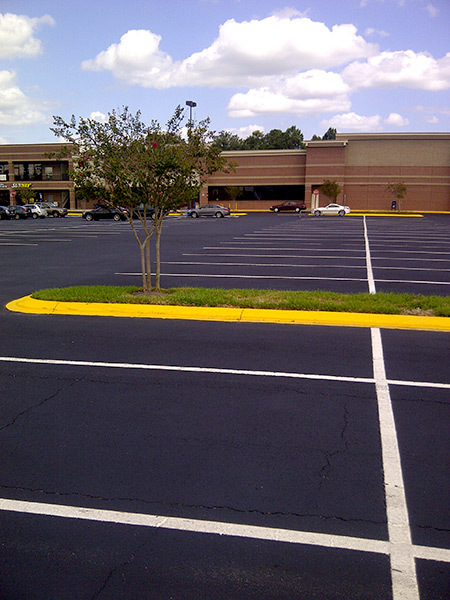 Further surface deterioration occurs from gas and oil leaks that soften and pit the asphalt. 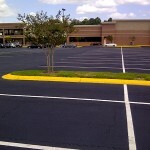 These stained areas combine to give an unsightly and uncared-for look to a faded surface. 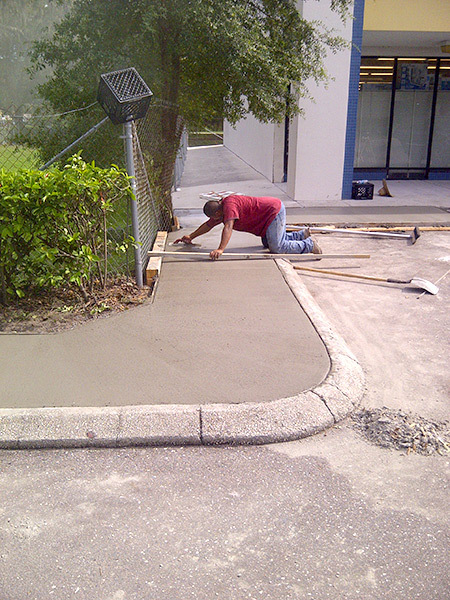 Product performance hinges on proper surface preparation and weather conditions. 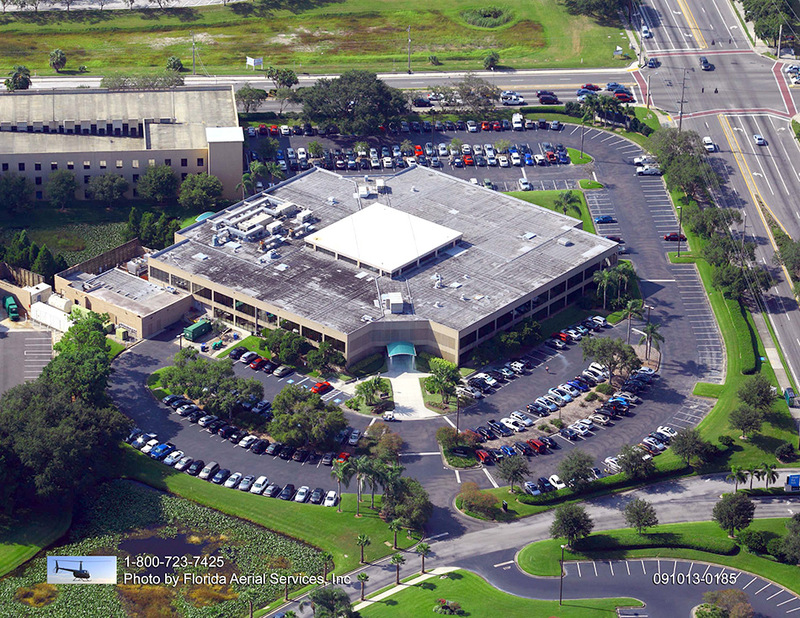 Surface air temperature should be a minimum 50ºF and rising. 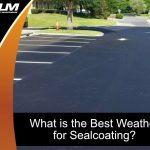 Sealer should not be applied if rain is within a 24 hour forecast. 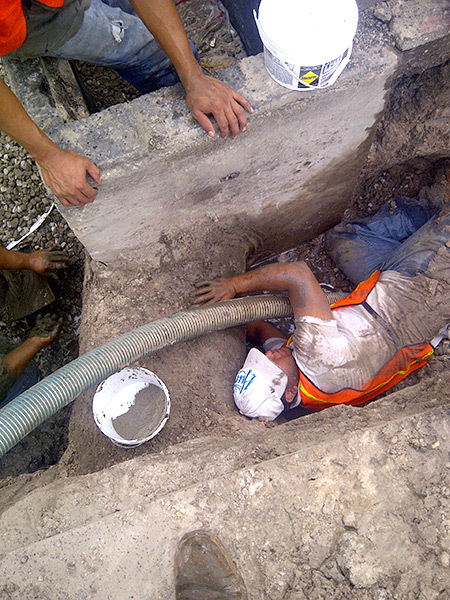 Curing time is affected by temperature and humidity. 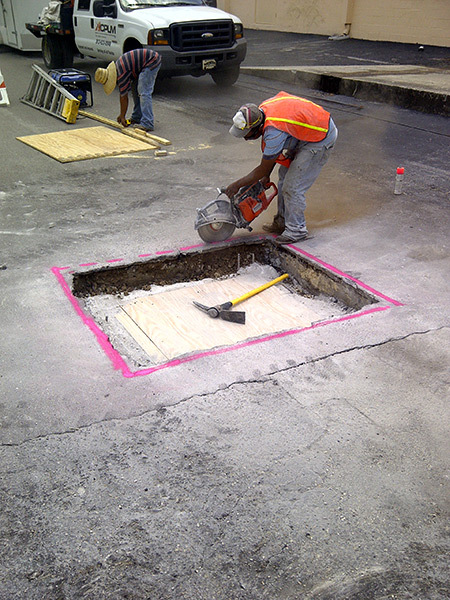 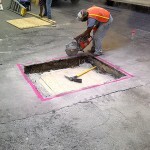 A minimum of 24 hours of curing time is recommended before opening a surface to traffic. 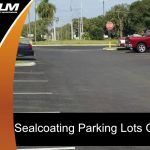 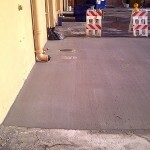 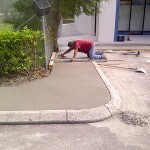 At ACPLM, we use GEM Seal for many of our asphalt sealcoating projects! 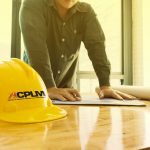 Call the pavement pros at ACPLM today to learn more about what we do and how we can help double the life of your asphalt.